New cider alert! And this one is set to be a fabulous sipper for sunny days ahead (think spring!). Austin Eastciders has released its new Champagne-inspired Texas Brut Cider, a limited release that is super-dry and exceedingly toast-able. We’ve seen a lot of these “brut” style ciders lately, and we welcome them with open arms. Less sugar (Texas Brut only has three grams per serving!) means a wallop of clean apple flavor without too much sweetness to get in the way. 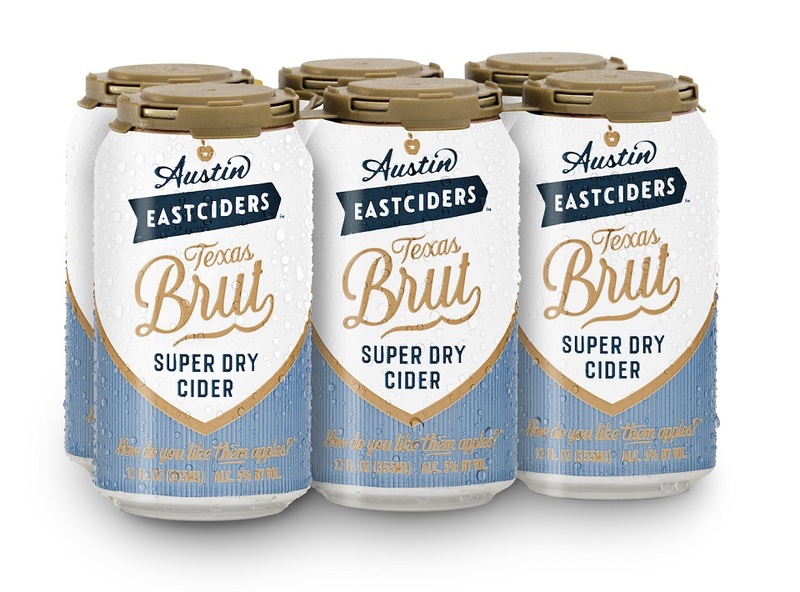 Austin Eastciders Texas Brut Cider launched in mid-December of 2018 and, by now, should be available in all of Austin Eastciders’ national markets, both in six-pack cans and on draft. Are you excited to see more and more “brut” ciders hitting the market, or are you more of a semi-sweet cider fan? Have you tried Austin Eastciders Texas Brut? Let us know!